We have established land in Chinamhora village in Domboshawa, which is going to work as a pilot project. Firstly, we have built a workshop for fair trade arts and crafts producers to be able to make their goods, which they can trade. The workshop has facilities for disabled people, as we are focusing on helping a group of mothers with disabled children to learn a trade so they can have an income. a plot to provide permaculture training. The workshop has provided a meeting point for many in the community and it forms a core part of daily life in the village. The social interaction this has created is a way of connecting everyone, which is why our focus is to develop the community centre. We are also affiliated with Chinamhora Community Trust. A community-based organisation supporting the development of competencies among the people of Chinamhora’s communal lands. The trust works towards raising the community’s socio-economic status through an active role in their personal development. It also empowers and supports the community through skills training workshops. 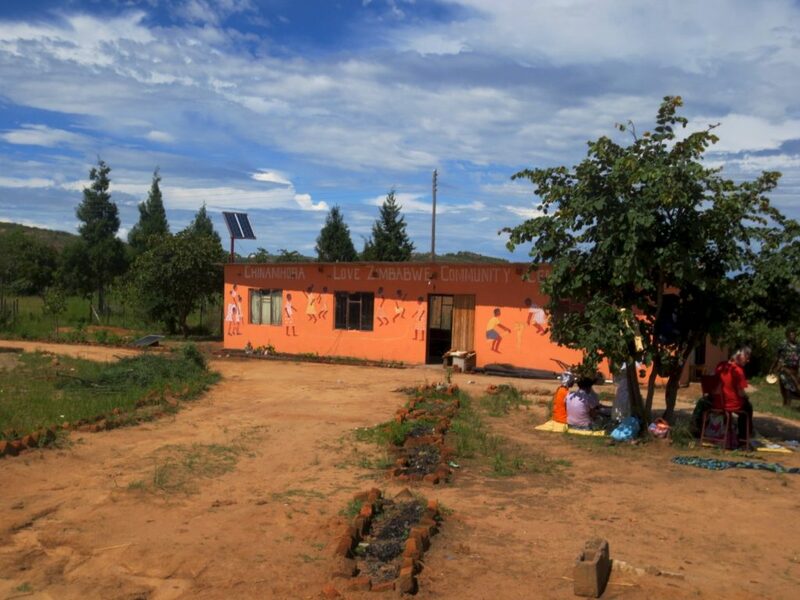 The main aim of Chinamhora Community Trust is to support the local community in becoming self-reliant and promoting sustainability throughout their operational area. We are very proud to be working closely with the chairperson of the trust, Mrs Katsande, who is continually looking for support and awareness of their vital work.